It is time for the ritual handover at the Reserve Bank. Sometime today, Adrian Orr will don the gubernatorial undergarments, drain the Goblet of Knowledge and be led down, down the spiral staircase to confront the Beast of Inflation in its lair, believed to be situated about 50 metres below The Terrace at the exact midpoint between the Treasury and Reserve Bank. 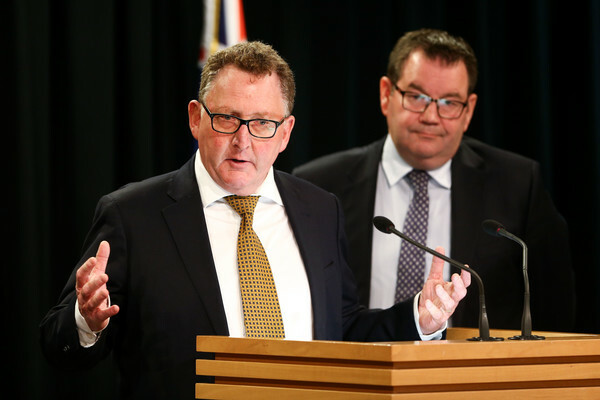 By tradition, only The One may confront The Beast, though there is talk by Finance Minister Grant Robertson of handing some of the job over to a committee – provided its members swear fealty not to publicly disclose any disagreements with The One that they may secretly harbour within their breasts. The changes that Robertson has in mind, however cosmetic, are not being embraced by all and sundry. Federated Farmers can’t see why anything needs to change. In similar vein in yesterday’s Dom-Post editorial, the very notion of the RB governor being accountable to a committee – some of whom may not be steeped in the ways of the Reserve Bank! – was being viewed with considerable alarm : “Having found the right governor, Robertson should be careful not to put too much power in the hands of less-qualified people.” Beware the challenges that the less-qualified may pose to the embedded experts. The world is changing though, regardless of the best efforts of Federated Farmers to hold the future at bay. The glory days of central banking occurred back in the 1990s. As BERL economist Ganesh Nana told RNZ yesterday, those days are over. We are looking at broader objectives rather than the old fashioned model that some economists cling to – that as long as you’ve got GDP growth and you’ve got a central bank looking after inflation, then everything else will fall into place, and the benefits will trickle down to everybody. That model is broken and it is an old way of thinking,” Dr Nana said. Not that yesterday’s men seem to have noticed. Former RB chairman Arthur Grimes for instance, has called the mooted changes “disastrous.” In his view, it is a “crazy policy” to expect the RB to consider the impact on employment of its decisions to raise or lower interest rates. Former governor Don Brash wondered aloud how Orr could possibly be expected to keep two goals in his head at once! Truly, hilarious stuff. Meanwhile… capitalist backwaters like the United States and Australia have long required their central bankers to include employment among the issues they need to consider when making decisions about interest rates. Elsewhere, central banking expertise – or even economic training – is elsewhere not considered essential for the job. The White House has just appointed a lawyer (Jerome Powell) to head the US Federal Reserve, making Powell the first person in the job since 1979 to lack any formal economic training. Yet regardless, the US financial markets have barely batted an eye at Powell’s appointment. There’s a reason for the equanimity. Central banking is the nearest thing to falling off a log that’s still deemed to merit an annual salary in the high six figure range. Milton Friedman once suggested the role of the central banker could be outsourced to a machine programmed to add X amounts every year to the money supply. In fact, machine-like reliability in a central banker is widely deemed to be a Great Good Thing, upon which all business leaders and markets are said to depend. (Workers, strangely enough, are alleged to thrive on constant change and job insecurity.) Indeed, the main beef that local business leaders had with Orr’s predecessor Graeme Wheeler was that he wasn’t quite predictably reliable enough. Ah, reliability. As mentioned, the job of being a central banker has changed substantially in the ten years since the Global Financial Crisis. Rather than waging a single-handed crusade against the Beast of Inflation, today’s central banker needs to worry about the exact opposite – namely, that inflation is still stubbornly refusing to appear, even though there have been clear signs of growth in the global economy since 2016. When economic growth occurs, but wage rises remain modest at best, and inflation sticks stubbornly in the lower part of the RB’s target band, what on earth is a Reserve Bank governor to do? Answer : sweet nothing. Forget about those mythical beneficiaries being paid to do nothing. We’re paying Adrian Orr in the ballpark of $700,000 a year to do the same, until 2019 at least. It used to be even easier. Twenty years ago, RB governor Donald Brash could be relied on to play whack-a-mole with the economy, and club it with interest rate hikes whenever it showed any signs of life, regardless of the impact this had on employment, business, the cost of capital, mortgages, savings etc etc. Hey, those were not his problems. So long as inflation was flat on its back – and the economy along with it – it was Mission Accomplished. History shows that once the central bank begins to raise interest rates, it often goes too far. Five of the seven credit-tightening cycles since 1970 have choked growth and ended in a recession. But without understanding more about inflation, it’s hard to know if the Fed is tightening too quickly, not quickly enough, or at about the right pace. Exactly. Moreover…out in the real world, some people have a greater (or lesser) ability to cope with price rises, and thus, they experience them differently. Also, it doesn’t help matters that services inflation tends to occur at a quite different rate to goods inflation. Keep that in mind as the media does his best to foster the mystique around the Reserve Bank and its peppy new governor, who the NZ Herald excitedly tells us, is a fun guy and a good communicator despite him being…somewhere in the Stephen Hawking realm of awesome economic expertise. Well, being the RB governor is not quantum physics. Most of the time, it just involves sawing on the crude interest rate levers, and hoping for the best that enough benefits will trickle down to most of us.